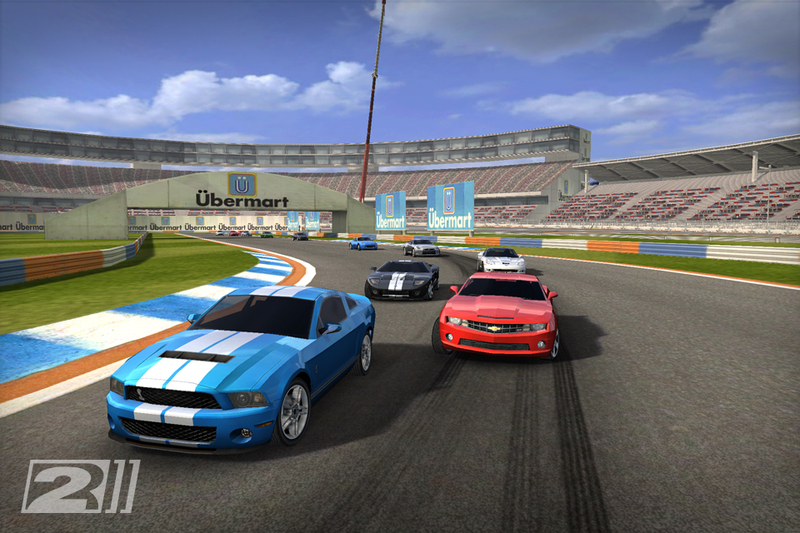 ‘Real Racing 2’ Review – The Perfect iPhone Game? 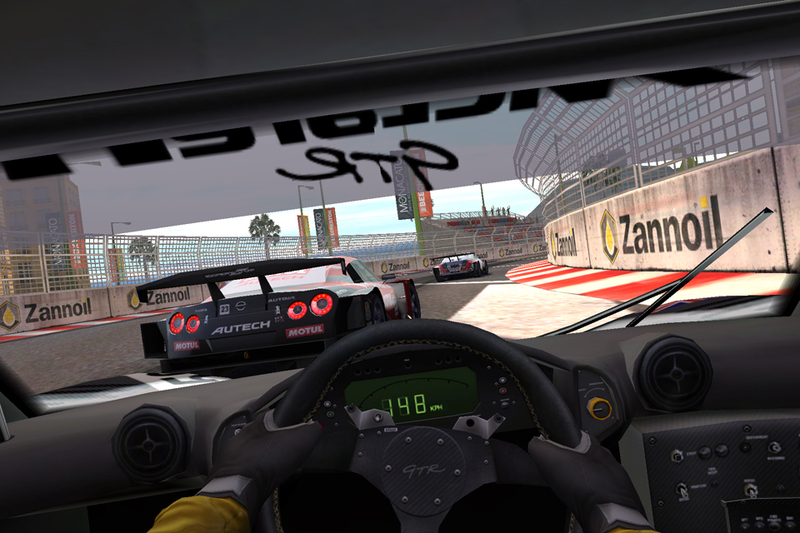 Looking back at our review of the original Real Racing [$4.99 / Lite / HD], we had a few disappointments, but overall had no issue calling it an “unrivaled racing experience." While EA has released a few great racers from the Need For Speed series, Real Racing was always my racing game of choice… Making me wonder what game was going to boot Real Racing off my personal throne of favorite racer on the platform. Unsurprisingly, Real Racing 2 [$9.99] was the game to do it. 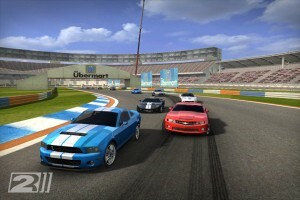 The original Real Racing received universal acclaim from the gaming media, and even went on to take home an Apple Design Award at WWDC this year. Real Racing 2 is everything a good sequel should be in that it builds on top of the excellent foundation set by Real Racing, adding often requested features and other surprises we weren’t expecting all while improving nearly everything that was retained from the first. Just like Real Racing, the sequel is host to a variety of control options that mix and match touch and tilt, along with various automatic systems that can be enabled or disabled depending on your skill level. By default, Real Racing 2 is incredibly easy to play. Steering assist and anti-skid default to on, and the brake assist is cranked up as high as it can go. Controlling this way, the games handles almost everything for you, and all you need to do is tilt your phone right or left to steer. Alternatively, you can turn everything off and drive completely manually, controlling both the brake and the gas while either steering with touch or tilt, along with many options in between. Unfortunately, it seems that there isn’t any way to manually change gears. The graphics in Real Racing 2 are substantially improved. Both the tracks and the cars themselves seem much more detailed, and while you can change the camera to several positions, the most awe-inspiring is the cockpit view where each car’s interior is modeled with extreme precision. Speaking of cars, one of the most surprising reveals before the game was released was the inclusion of 30 different fully licensed real cars. Brands range from VW to BMW to Ford and much more. The number of cars in each race has been cranked up to 16, which I think is one of the most substantial improvements. 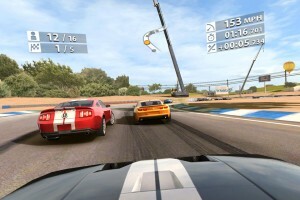 Previously, iOS racers all felt pocket sized in one way or another. You never really got the full experience of a console racer because in most racing games you were only ever competing in 8 car races. Doubling this makes for races that are just crazy, especially on higher difficulty settings where the AI racers seem to actively try to prevent you from passing them– Often creating epic battles between cars as you attempt to slowly climb to first place. These 16 player races aren’t limited to single player either, for the first time on the App Store you can play up against 16 players online. These huge online races are absolutely awesome, and work effortlessly. You tap the online multiplayer icon, and seconds later you’re tossed in to a lobby with other players. Following a short countdown you’re at the starting line of an online race. Real Racing 2 seems to prioritize quick matching to full races, so if you’re playing at an off time you likely will get matched with fewer players. One thing I’d like to see in the future is if there was some kind of slider that you could set whether you prefer shorter wait times or larger races. Often times I wouldn’t mind waiting a little bit longer to play with more people. Also added is a new career mode, which Firemint is claiming should keep you busy for around ten hours. Playing through career mode will have you making your way through various events, earning money, buying cars, and upgrading them. The career mode also serves as a bit of a tutorial, as the early events require you to do things like upgrade your car to a certain performance threshold, win a certain number of popularity points, or even paint your car a different color. One minor complaint I do have about this is that at the start of the game you’re given a small amount of cash to buy your first car. This requires you to go through all the different cars searching for one you can actually afford. While I suppose this initially gives you a good idea of just how many cars there are, I would have much preferred to just have the option to select an available starter car instead of needing to search through everything else. Though Real Racing 2 may have a few things I’d like to see changed, it’s without a doubt the current king of iOS racing games. I’d go as far as calling it the perfect iPhone game. The controls are perfectly suited to the platform, the graphics are fantastic, and Real Racing 2 is compatible with every iOS device, even the ancient 1st generation iPod touch. The online component is fantastic, the career mode is a welcome addition, and there’s even a new car damage system that reflects just how much you’ve been bumping in to things. There aren’t many other games that showcase what the iOS platform is capable of more than Real Racing 2, so much so, that Apple should just be bundling it with their devices. Do not miss this game.